Seeing solar panels in your neighborhood and on local businesses? Hearing people speak proudly of their investments? Now, it's your turn. Let the experienced team at Energy Optimism design and build the right solar system for you. Energy Optimism can help your business — be it a farm, a school, or a manufacturing facility — start reaping the benefits of solar energy. We can design a system for you, or we can provide a complete turn-key solution that includes permitting, installation, and commissioning. The proximity of energy production and electrical panel make the rooftop one of the most efficient sites for a solar system. Allow our NABCEP-certified professionals to assess the quality of your home or business roof and supply you with a cost competitive proposal. If you have a farm, or extra land, or perhaps your rooftop is not suitable for solar, our team with nearly 20 years of experience can help. We have designed, installed, and commissioned ground mount projects for homeowners and businesses. Founded in 2014 by the Hatch family, Energy Optimism continues to be operated as a family business. 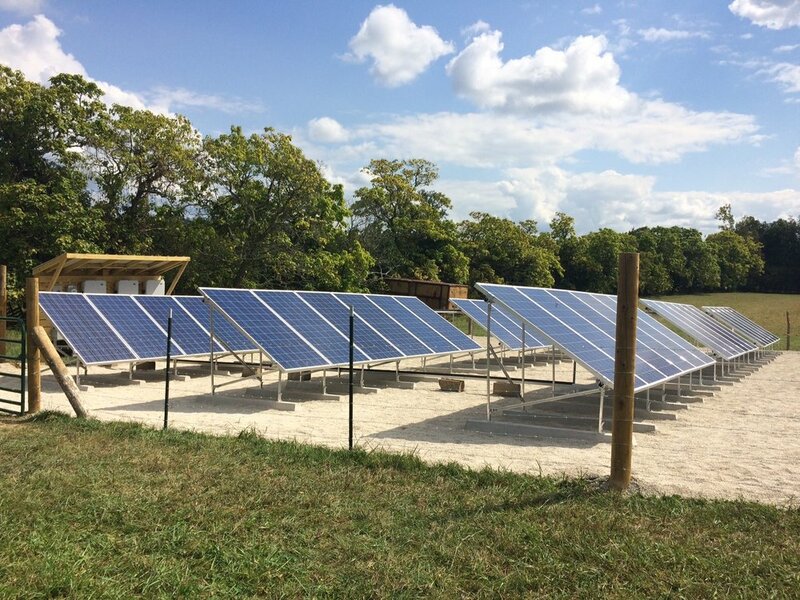 With over 30 years of PV and electrical experience, the founders saw an opportunity to cost-effectively offer PV solutions to the region encompassing Virginia, Ohio, and West Virginia. With employees in Roanoke, VA and Athens, OH, the company is geographically and logistically well-positioned. The region represents not only a beautiful landscape but, more importantly, is home to our families and friends. It made sense to offer our experience and service to our community. We believe in doing business the right way. Unfortunately, we, and likely you, hear this statement often, but not many companies are living it. By leveraging our experience, utilizing quality equipment, and allowing our sales to be driven by our network and word of mouth, we’ve eliminated one of the largest expenses of a solar company: the marketing budget. We believe we can forgo paid advertising if we focus on the most important part of our business: the client. This approach, combined with running lean and keeping overheads low, translates to more affordable solution for our customers. If you’re considering solar, we strongly encourage you to get at least three bids for your commercial or residential project. The process will educate, ensure competitive pricing, and provide the opportunity to select a company that will, ideally, provide a quality PV solution. A quality solution should not only include reputable equipment, it must be installed properly, and there should be a maintenance agreement in writing. The last one — maintenance — is often overlooked, but it may be the most important component. A PV system is an investment. Literally — the average return is comparable to a strong blue chip stock, but has a consistency and reliability not frequently found in the stock market. Typically, a residential solar system is based on a 25-year value proposition; some commercial projects may use 20 years. You want to make sure you understand how maintenance is performed, lead times on resolution, remote monitoring, and warranty details. Would you invest in a $20,000 piece of equipment without fully understanding the company who supplies it and their ability to service it? Angela focuses on the day-to-day management of Big Lick Energy Partners. She is married and has four children. She attended the Rocky Mountain School of Photography and practiced professional photography for many years. In addition, Angela spent several years working for Outback Steak House. She managed the store in Roanoke, but her years spent opening Outback franchises around the globe, including China and Ecuador, grew her understanding of the world. Her work also included time spent in the family’s real estate firm, leading the marketing department, and assisting with all aspects of the business. With motherhood, her entrepreneurial spirit drove her to get involved with non-profit organizations that educate women on birthing choices and special needs children. Solar has become a family business and encompasses her desire to preserve the planet for future generations. "Energy Optimism made it simple." We avoid bombarding you with biased information or devoting a lot of effort to social media to convince you that solar is the right choice. We know it’s the right choice, and we’re confident that Energy Optimism’s experienced team can save you money. We work hard to ensure you have a personal experience built on honesty and trust. You will know the people you hire and who you'd need to call if there were ever an issue with the installation at your home or business. As part of our approach, we supply resources that help you find the information directly so that you can make an informed decision. Below are several links to sources of valuable information — please explore them. We are always willing to answer questions and/or help you find answers in the most objective method possible. Please email or call us if you have questions or would like an estimate for your business or home. Hosted and published by the NC Clean Energy Technology Center – a database of state and government incentives. The site is not only great for solar info, but also contains details on incentives / grants for nearly anything relating to energy production or energy efficiency. NABCEP (North American Board of Certified Energy Practitioners) – the website is aimed mainly at professionals within the solar industry but also contains a lot of good educations programs and details on workshops and conferences. Solar Page on Energy.Gov – mainly aimed at bringing you up to speed with the solar industry, and how the US Govt is supporting and growing the solar industry. 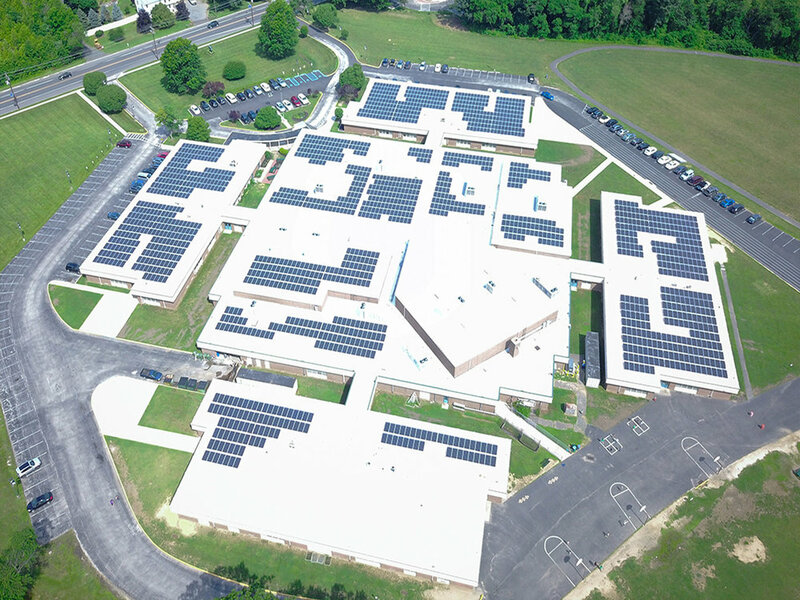 Check out the Solar Projects Map - VA Tech awarded $1.2MM to help reduce the soft costs of solar. PV Syst is a free website run by the US Dept of Energy. Tons of info, be careful some of it is based on scientific studies and may go into more detail than appropriate. One of the most useful resources, a solar design software, PV Syst, utilized by many solar professionals. In general, the software is user friendly and can help you understand the basic energy production of your specific system based on your home’s location and PV components. Contact us today at 330-272-3328 or info@energyoptimism.com to learn how Energy Optimism can save you money.